Kate believes in open and direct communication and in achieving practical outcomes specific to her clients’ needs. She will carefully and efficiently guide you through complex legal situations to reach your goal, large or small. Kate Shann established KS Law after 15 years of practice in Sydney and the New South Wales Upper Hunter Valley, including 12 years at a national law firm. As a sole practitioner, Kate’s experience and client focus allows her to provide a unique personal service. Kate will deal with you directly throughout your matter, keeping you well informed, answering any queries or concerns you may have and making the process as easy for you as it can be. KS Law services clients throughout New South Wales and can travel for meetings in the Hunter Valley. Having worked in Property and Commercial Law and Rural and Residential Conveyancing for over a decade, Kate has represented individuals, farming families and large corporate clients in all types of land, water, business and other commercial transactions. 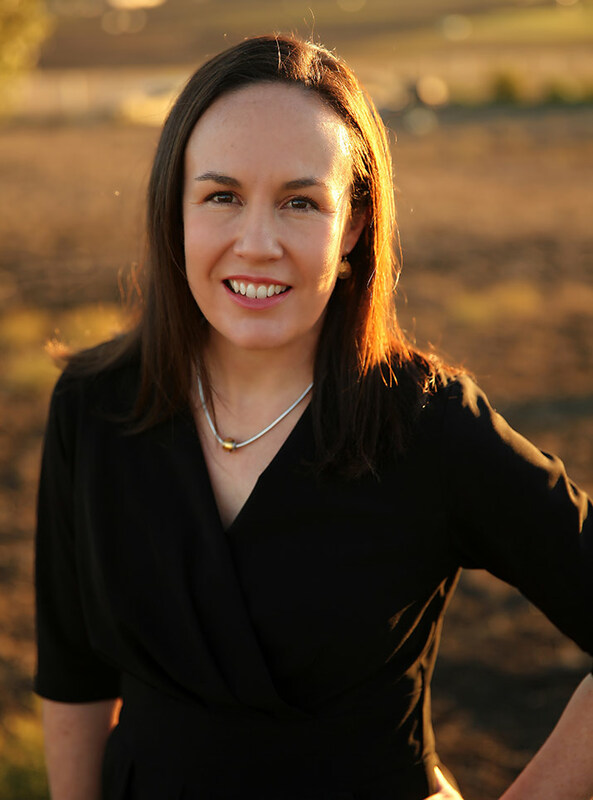 Kate has years of experience in the mining and agribusiness industries and in the energy sector, assisting major land holders in the planning and execution of land acquisition, leasing and in water law and trading. Kate has also worked in general practice in Scone and Muswellbrook and before that in insurance litigation in the Sydney CBD. With her unique combination of corporate and local experience, Kate has an edge in understanding the intricate needs of each client and in tailoring specific results. KS Law can assist you in all areas of Property law (including those detailed below) and in relation to your Will, Power of Attorney and Enduring Guardianship documents. KS Law can provide advice in relation to buying or selling all types of land in New South Wales and will negotiate the terms of your contract for sale to protect your interests. Rural property is an area of expertise for KS Law. A thorough and efficient conveyance of rural land with associated water rights, plant and equipment and other assets such as crops and livestock and old system and crown land issues requires specialist advice and practice. KS Law also has experience in conveyances of strata title land. KS Law will deal directly with you and / or your lender to facilitate settlement of your sale or purchase via the Property Exchange Australia (PEXA) Platform. Water rights have emerged as extremely valuable assets and the way in which those rights are owned and transferred is the subject of detailed state legislation. KS Law has the knowledge and experience to assist you in all water law dealings including new licence applications, licence subdivisions, works and use approval applications, temporary or permanent transfers of allocation or shares and in the transfer of entitlements in irrigation schemes. Detailed consideration is required when entering a lease or licence, which is often a long term commercial commitment. Issues such rent and rent review, outgoings, possession and access issues, length of tenure, options and first rights of refusal, maintenance, occupational health and safety, environmental compliance and insurance need to be accurately dealt with in your lease document. KS Law is well equipped to advise you in relation to these matters in all contexts, rural, commercial, retail and industrial, and to draft or negotiate a lease that protects your property interest and suits your business. KS Law can also provide advice in relation to leases with telecommunications entities. KS Law can instruct a surveyor or liaise with one you have appointed to prepare plans and ancillary documents and can consult with your local Council in obtaining development consent under the Environmental Planning and Assessment Act 1979 (NSW) for your subdivision, consolidation or boundary adjustment. If your property is subject to a mortgage you will also require mortgagee consent and KS Law can organize that for you. KS Law will facilitate the lodgment of all documents with the NSW Lands Registry to alter land titles. KS Law can provide advice in relation to existing easements affecting or benefitting your land or can negotiate, draft and register new ones on title. KS Law has experience in dealing with Ausgrid, Energy Australia, Transgrid, local Councils and corporate and individual landholders in relation to all sorts of easements, including in relation to access, water supply, drainage, electricity, asset protection zones and wind turbines. The transfer of the family farm between generations can be an emotional and complex process. KS Law can assist in this process in consultation with your accountant, advising on legal aspects such as stamp duty considerations and implementing the required property and water transfers. KS Law has extensive experience in drafting and negotiating land access agreements under the Mining Act 1992 (NSW) and can provide advice in relation to compensation and conditions of access arrangements. KS Law can provide practical and legal advice specific to the scale and purpose of your business, including with respect to the lease or sale of premises, restraint provisions, consent requirements, employee issues, asset and equipment transfers and registrations under the Personal Property Securities Act 2009 (Cth). KS Law will draft or negotiate a contract for sale which is specific to your needs and facilitate exchange and settlement of your sale or purchase. If you are buying or selling assets as part of a property or business sale or a sale and leaseback arrangement, KS Law can draft or negotiate the necessary contractual documents and advise you in relation to requirements under the Personal Property Securities Act 2009 (Cth). KS Law can draft personal loan agreements or mortgages or advise you in relation to financial institution lender requirements relating to land or water. KS Law has a thorough knowledge of requirements of foreign investors under the Foreign Acquisitions & Takeovers Act 1975 (Cth) and can assist with applications to the Foreign Investment Review Board (FIRB). KS Law has expertise in relation to provisions specific to foreign investment in contracts for sale of land (including in relation to purchaser surcharge duty), put and call options, leases and share transfers to foreign entities. KS Law has experience in dealing with government authorities such as ARTC and RMS and in the resumption of land under the Roads Act 1993 (NSW) and the Land Acquisition (Just Terms) Act 1993 (Cth). KS Law can help protect your interests in the event your property is subject to a compulsory acquisition. The common law has always regarded the possession or occupation of a parcel of land over a period of time as evidence of ownership. KS Law can advise you in relation to the requirements under the Limitations Act 1969 (NSW) and the Real Property Act 1900 (NSW) for a claim to adverse possession of a parcel of land. If the requirements are met, KS Law can make an application for possessory title on your behalf. Crown land is owned and managed by the state government and accounts for over half of all land in New South Wales. KS Law has contacts with the relevant government authorities and experience in dealing with Crown lands in all forms including under lease, licence or permit and including crown roads and Western Lands Leases. Native title recognizes the traditional rights and interests to land and waters of Aboriginal and Torres Strait Islander people. Under the Native Title Act 1993 (Cth) native title claimants can make an application to the Federal Court to have their native title recognized by Australian law. KS Law can advise you in relation to the scope of native title rights and interests in relation to your property or a property which you intend to acquire. KS Law will carefully and efficiently guide you through complex legal situations to reach your goal, large or small. Unapproved structures… What to do? For enquiries and appointment bookings please contact us. Ⓒ KS Law 2018. All rights reserved.